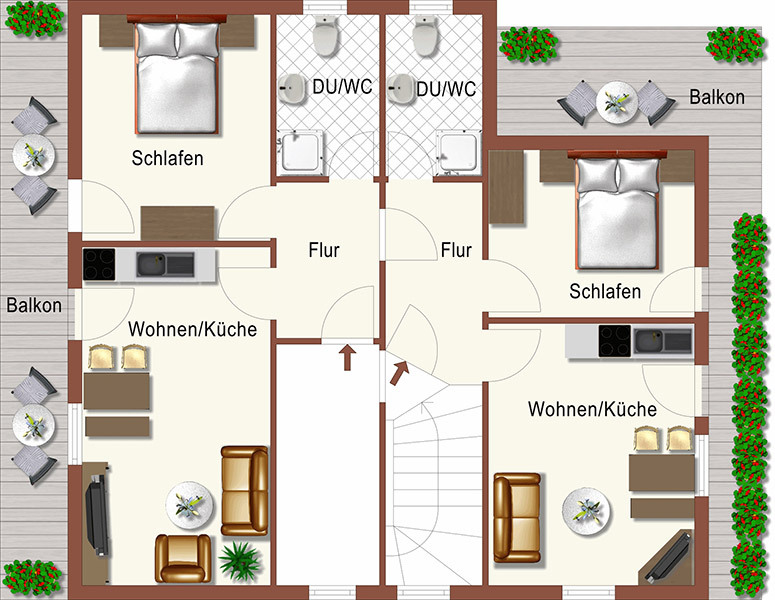 Kandelblick consists of the 2 joined first floor apartments of the guest house. Together they make up a larger apartment which sleeps up to a maximum of 5 people. An interconnecting door enables the use of the entire first floor.